How to boost your business with video, creating a social media content strategy and Stress Awareness month. A beginners guide to creating images for social media, like or loathe story telling? An inspirational quote from Brian Tracy. 12 ways to boost your Facebook page, my favourite LinkedIn cheat sheet has been updated for 2019, and a great quote from Stephen Covey. When is the best time to post to Facebook? How can you measure your social media success? And a quote from Gary Vaynerchuk. What type of content works best on Facebook? Which brands are inspirational on Instagram? 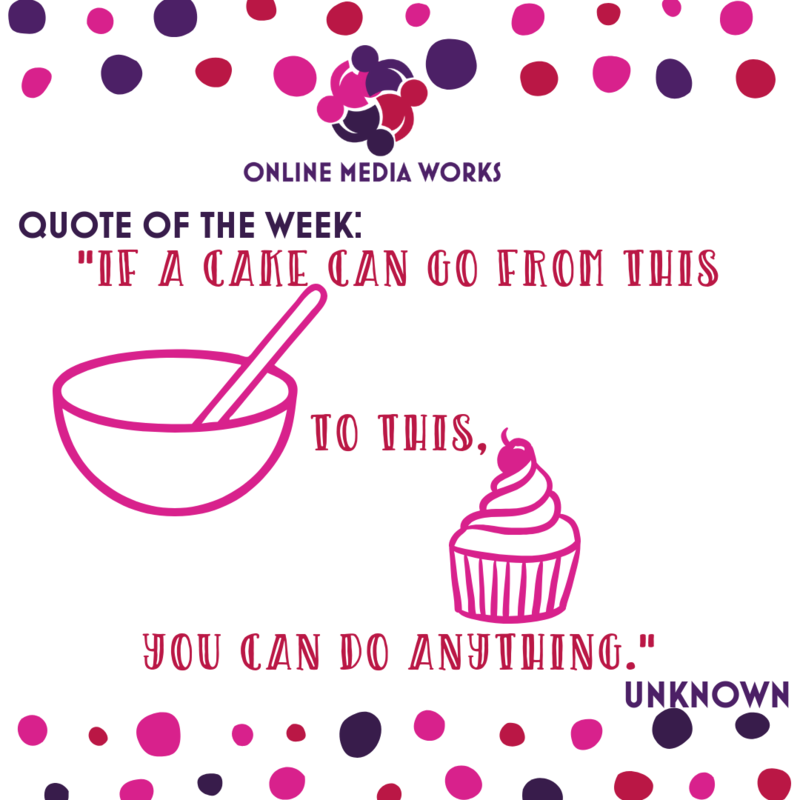 A cake/business quote from Elon Musk. Overflowing with freebies! Free LinkedIn training, a Facebook quiz, Boost your Business with Instagram Ebook, Boost your Business with Twitter ebook. And exciting news; part one, part two and part three. Looking at the 5 tools to boost your social media, how social media can boost your business and this week’s favourite quote from Sheryl Sandberg. Looking at top tips for Instagram and how should small businesses use social media in 2019? This week’s favourite quote from Mary Kay Ash. 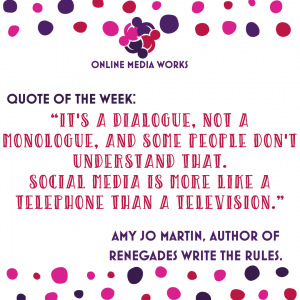 Looking at what to post on social media, the best time to post on Instagram and a great quote about social media. Looking at making the most of Instagram for your business, the latest US and UK social media statistics and a quote from Steve Jobs. Looking at Instagram hashtags and promoting your business on Instagram in 2019. Plus this week’s quote from Maya Angelou. Understanding Twitter analytics, creating brand advocates and a thought-provoking Chinese proverb. Creating the perfect tweet, understanding what our audience wants from us on Twitter and a great definition of Twitter from Stephen King. Understanding the Twitter algorithm, using Twitter lists and a great quote about Twitter from author, Charlene Li. Is one of your 2019 goals to win more business? 80 must read social media statistics for 2019. Quote of the week from Pablo Picasso. All things LinkedIn and a free checklist to help you maximise your profile to win more business. This week the social media tip is about checking your LinkedIn privacy settings, getting started with Pinterest, another great quote from Michelle Obama and the last chance to book for The Social Media Cafe in 2018. This week there are 13 ways to kick start your social media Strategy in 2019, get a free calendar full of awareness dates for you to incorporate into your strategy and quote of the week from Michelle Obama. This week there are 6 top tips to set your 2019 social media strategy, find out how Facebook recommendations can help you grow your business and quote of the week from Frank Clark. This week there are 15 ideas for your Christmas social media, an introduction to a free website that gives you social media insights and quote of the week from Robert Collier. Includes how to resize images for different platforms, why you should use images in your social media posts and quote of the week from Erik Qualman. 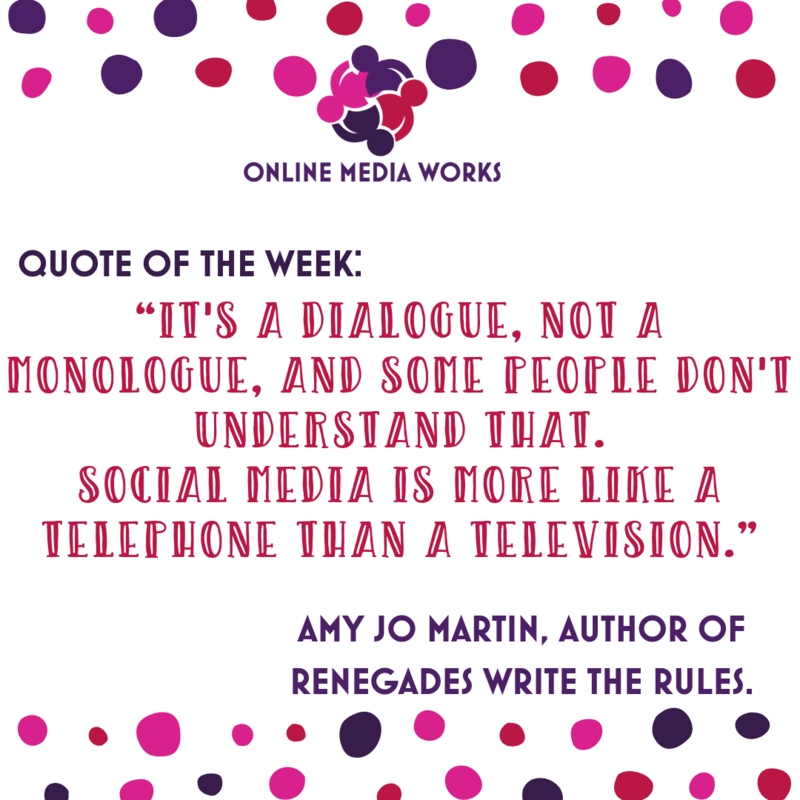 Includes 22 social media tips, an insight in measuring the return on investment of social media and quote of the week from Jeff Weiner. Are you using your Twitter header background to its full potential? All you need to know about Twitter search and a quote from Arianna Huffington. Includes boosting your business with Google (for free!) an insight into the demise of Google+ and a quote from Amelia Earhart. We look at using video in your business, 7 ways to create Pinterest images that drive clicks and quote of the week from General Patten. Ten ways to boost your business with Pinterest. Did you know Pinterest drives 3.8x greater sales than the average digital campaign? Quote of the week from Marie Forleo. What’s your plan for generating sales in your business? How to generate leads by effective use of social media and quote of the week from one of my favourites, Iris Apfel. How to stand out on LinkedIn. This week’s insight is about building a strong social media strategy for your business. Quote of the week from Iris Apfel. How to get started with Instagram Stories. How to repost on Instagram, a quick video. Plus: how to find your customers on social media. What’s the right size media for each social platform? And a quote of the week from Julia Child. How to use Pinterest for Business. How to audit your Linkedin profile. Another quote from Julia Child! Are you using Instagram stories to their full potential? How to boost your LinkedIn marketing. Quote of the week, about cake! Top ten digital marketing tips for small business. Have you seen the change to Facebook reviews? Life is what you bake it! Do you schedule your social media posts? Do you use infographics in your business? A favourite quote of the week.